German tuning company Hamann took as its next objective Italian sportscar and tried to implement rougher look, higher performance and more exclusivity. And so "poisonous serpent" has been born. Its creator named it Limited. Lamborghini Aventador is well known to professionals specializing in tuning and we must admit that Hamann workshops coped with this challenge admirably. 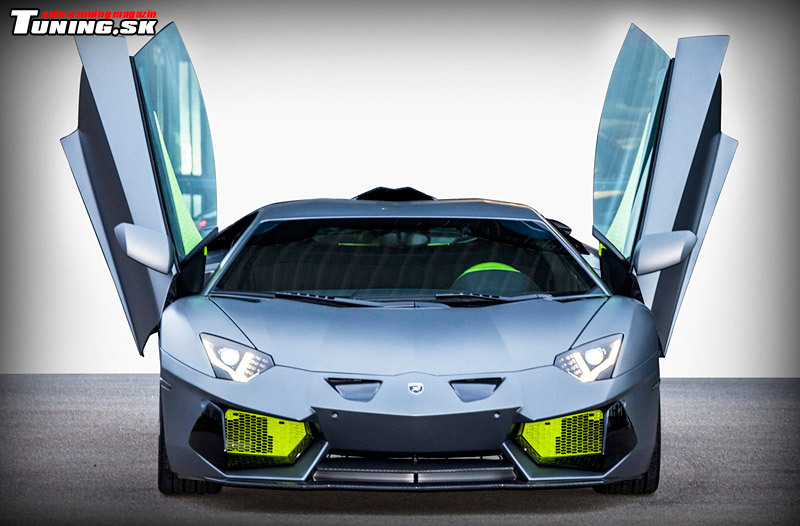 Lamborghini Aventador Limited will attract your attention first and foremost by its combination of colors. Body is covered in special matte gray paint called "Stealth Gray" to contrast with bright green details. "Poison" green can be seen on air vents lattice or on lining of black 20-inch alloys on the front and 21-inch on the back. 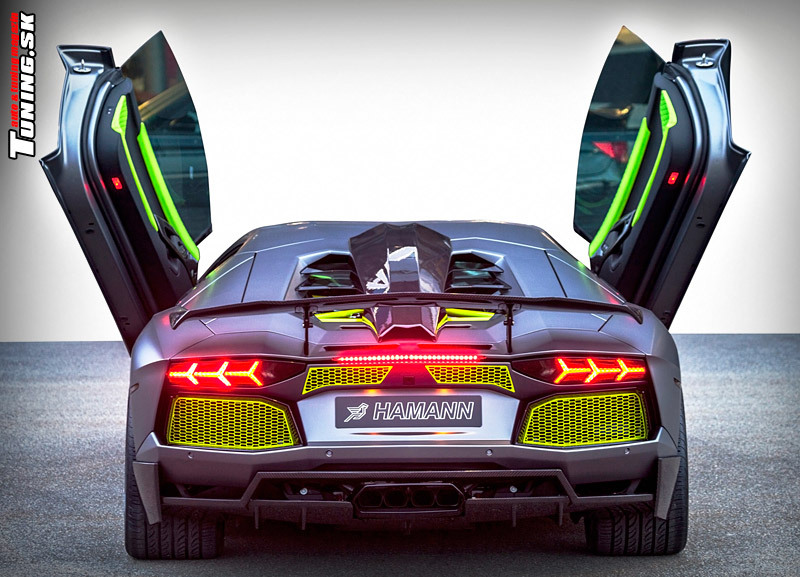 Lamborghini Aventador Limited from Hamann is impressive from visual aspect. Before we take closer look on body kit modification, we have to put the stress on the amount of effort Hamann put into these upgrades. There are no signs of overdone spots, Aventador limited is therefore leaving us with an impression of harmony. 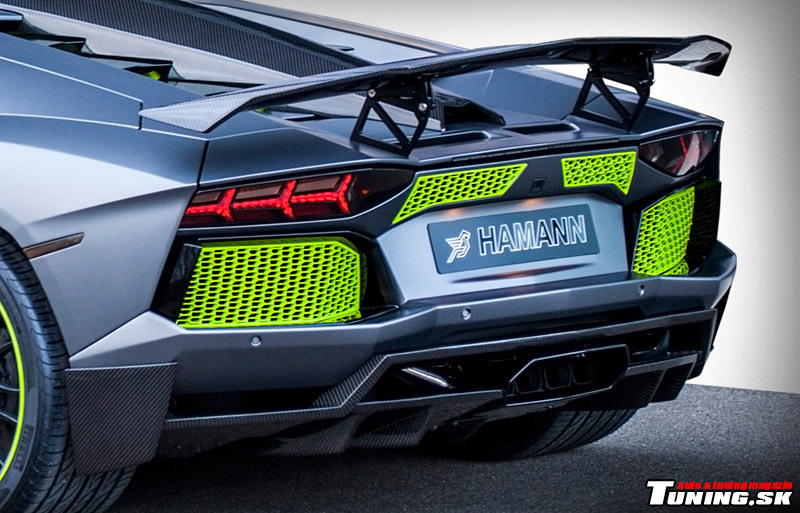 Hamann spent no expenses on applied materials and bodywork accessories were made from lightweight carbon. The front boasts new bumper skirt and pair of carbon made air vents to improve already topnotch aerodynamic characteristics. There are also eye-catching side skirts and rear carbon diffuser was tuned up too. List of visual changes would not be complete without adjustable rear spoiler also made from carbon fiber. 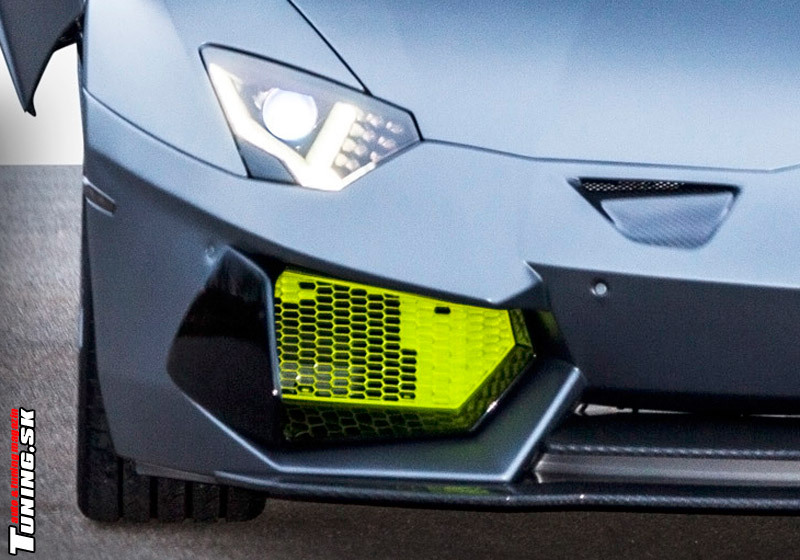 But the visage is only one part of what took place in the process of tuning our Aventador Limited. Changes under hood are also significant. Under the bonnet of Aventador Limited sits 6.5-liter V12 which in its standard version offers 515kW/700 HP. Not so much after an improvements from Hamann. After leaving the workshop, this sportscar performance is increased to 559 kW/760 HP. Behind this betterments is improved central unit and air intake slots. Unfortunately there are no more data about performance after these particular changes took place.